The summer is finally here and &tradition is ready with loads of new launches: The Moor in the new colour, Yellow Field, Fly 3-Seater and Cloud High Back. With the addition of more colours to the Moor collection, All The Way To Paris goes further to bring the countryside outside - inside. Enjoy the impression of endless rows of buttercups reflected in Yellow Field, a new colour for the AP5 and AP6 versions of the rugs. Meanwhile, Red Heather makes its way to the AP8 version, reminiscent of spring just before summer. Flowers can be even more captivating when displayed in a complementary vase. 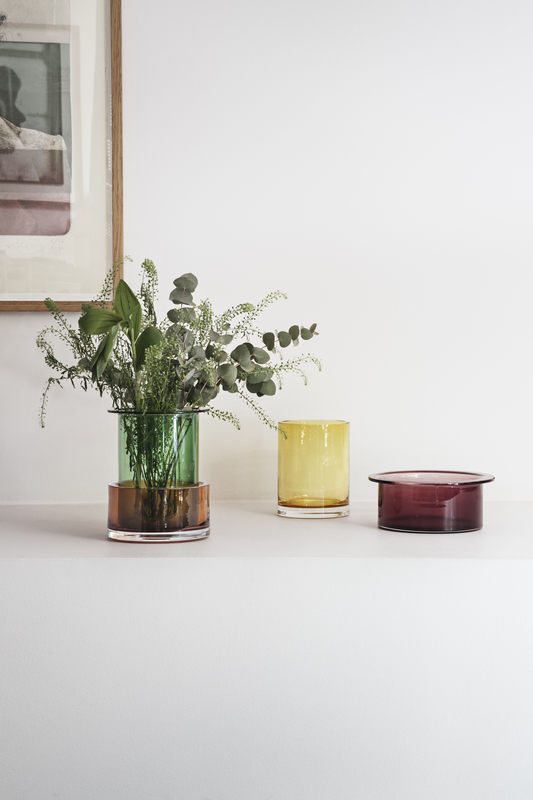 The Tricolore vases are designed to stand alone, to be clustered together and to add an extra dimension of colour when two are paired together. What makes them even more appealing is the hand craftsmanship involved in the creation of each one. - I’m passionate about colour, real materials and working with artisans. With the Tricolore Vases, I played with a spectrum of colours, gauging which third colour would appear when the two colours overlap. How the colours would interact with sunlight. And fine-tuning the density of the glass to get just the right nuance, says designer Sebastian Herkner. 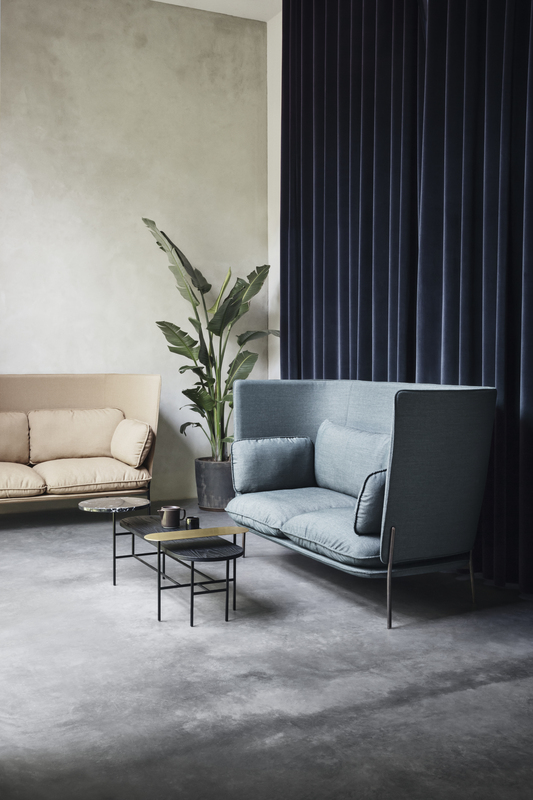 With the Fly 3-Seater, Space Copenhagen amplifies your experience of lounging and socialising with ease. Three enormous seat cushions invite you and anyone else to relax in absolute comfort. 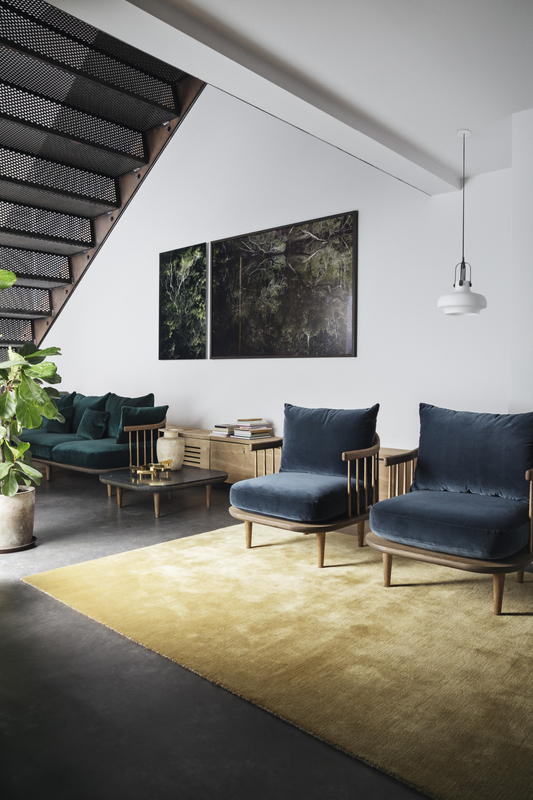 With all kinds of options as to the solid oak colours and types of upholstery, the Fly Series signals a sculptural approach to design without sacricing comfort. With Luca Nichetto's Cloud sofa the aim was to produce the essence of comfort. The new versions, Cloud High Back LN6 and LN7, are no exception - accentuating the feeling of floating in your own cloud. - When you are floating on a cloud, you are in your own world, explains Nichetto. - With the high back versions of the sofa, you feel comfy, free and able to focus. Even the acoustics are more intimate. It is like having your own cloud up in the sky. It is a concept - but it is real. A private space you can share with others.